In today’s fast-paced culture, many of us rarely see—or even know—our neighbors. We rush off to work, spend hours shuttling children to sporting events and music programs, tackle lawn chores late into the evening or all weekend long. How can we make the connections we crave? In The Turquoise Table, Kristin Schell suggests we start in our own front yards. This four-color gift book offers the principles and steps we can use to create a spot (preferably a Turquoise Table) where people gather. Each chapter ends with an activity, a story of how that chapter’s precept worked in an individual’s life, and a recipe to entice neighbors to the table. Stress-free ideas, simple tips, and funny and heartwarming stories make it a breeze for readers to create their own Turquoise Table community. Kristin Schell is an established speaker and blogger on the subjects of food, faith, and hospitality. Passionate about community, she has served at every level, from grassroots-level work in church and local nonprofits as well our nation’s capital. 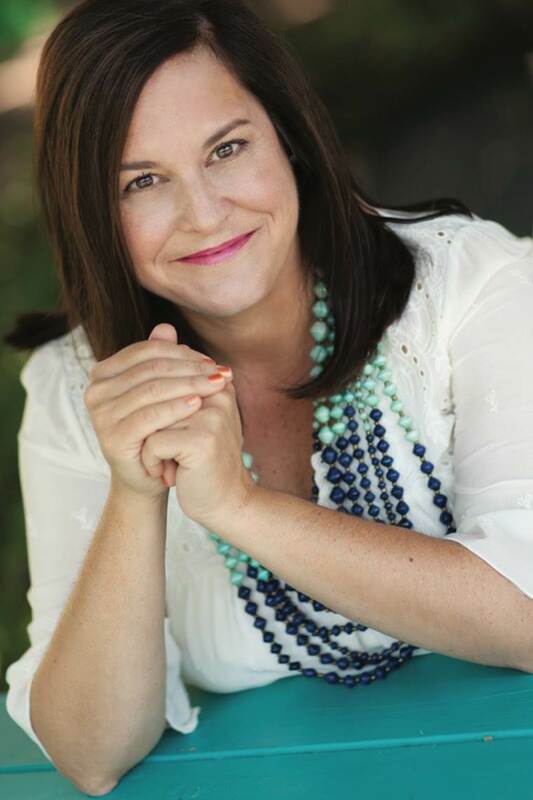 As founder of the Turquoise Table and Front Yard People movement, Kristin travels the country speaking at conferences and events with an encouraging word on how to open our lives and homes to others. She lives in Austin, Texas, with her husband, Tony, and their four children. Click the button below to add the The Turquoise Table to your wish list.